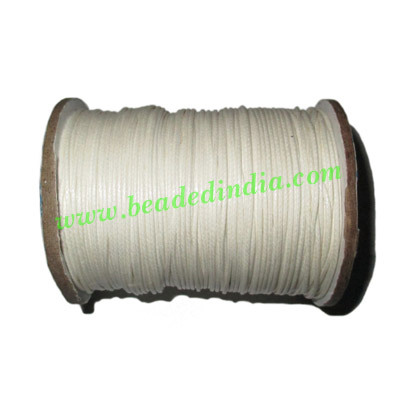 1.5mm (one and half mm) high quality round cotton wax cords, color as per picture, pack of 100 meter spool. Leather Cords 4.0mm (four mm) round, regular color - light purple. Parad Mercury Japa Mala, necklace 6mm 108+1 beads. Leather Cords 4.0mm flat, regular color - light violet. Sterling Silver .925 Fancy Beads, size: 5x7mm, weight: 0.98 grams. Leather Cords 6.0mm flat, regular color - mint green. Barb Wire Leather Cords 1.5mm round, regular color - light tan brown. Silver Plated Fancy Beads, size: 23x11x10mm, weight: 2.12 grams. Leather Cords 6.0mm (six mm) round, regular color - lavender.